The Problem: Not enough active Players, thus empty BF3 server. Ok this will be long so just try to read...here we go. -The Goal is to recruit 20 active new BF players over a 3 month period, that are also planning to play BF4 (or even considering it). -These players are to be recruited from either our server or a non-clan public server. -We need at least 3 recruiters, volunteers are welcome. -Recruiters are to get minimal TS admin powers. -The Job of the recruiter is to invite the player who is interested in joining the community. Invite them to TS or to install it, talk with them a little, give them wrap about the community and the admins, then have them sign up on the forums. Next the recruiter will have to clean up their friends list on battlelog so they can add new players, once added, ask them to join the platoon #1 or #2. Encourage the new players to play often to earn their member tags if they want (we'll get to tags later). -Like me, I RAGE, whine, cry all day, and it's a terrible habit, and I need to change this to get more people in here. We all need to change our attitudes on how we game, our goal is to fill the server and make the new recruits welcome, no matter how terrible your team is, you stay and stick it out till the end. If you dont want to play, stay AFK in the server to help boost population. All members should stay in the server if they like the map or not. If we come together and be ultra nice to new recruits, this is gonna be easy. -IMO admins should go through the list of over 600 members on the forums and contact these people. Email them and give them 1 week to reply, if no reply after a week, terminate them immediately. All banned members should be terminated from the site. Next Admins should look through the platoons on battlelog, right now there are two. Contact them to see if they are playing and active, if no reply, kick them from the platoon, if they come back, we recruit them. -Our fearless leaders are the most important people keeping this community afloat. W/o them no servers or TS. During our recruiting program, all current active members should help Specialist and Swanny financially. Next all active members should strive for VIP (5$ minimum) to help server cost. Even donating 1$/month helps (this will not get you VIP). We can also help Specialist afk in the server to get it going when we are at work or school...Note: too many AFKs is not a good idea. -Main goal is to keep the leaders and admins happy. I am proposing a simple new tag system, this is how they would look. -You must earn the [117M] tag, the player must join TS and hangout with us for a month to earn the Member tags. If they decide to be a VIP member while a recruit they will wear this tag [117X]. -This tag system will also be implemented in TS as well. Admins do not have to enforce this system it is completely voluntary. -ONE does NOT have to have tags to play with us. -You may also wear your clan tag when playing with us, and you can be a VIP member. All we ask is to be a little active. -Remember this is a community and not a clan, this is why the recruitment program only lasts for 3 months. Imagine it like a pure adrenaline shot to boost morale and player activity. 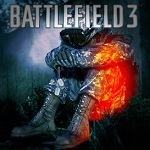 -We want to encourage all to join TS when playing BF3!! Good idea buddy, we had this when i used to play for the clan 5th rangers on day of defeat many years ago. it works well . not so sure about your tag sytem though.. the wholes finger pointing in who has payed who has not need not be there in my opinion. I also think there needs to be fewer admin due to the fact when some of the admin are in game they dont seem to care. this is mainly some of the newer admins i have noticed but not all..
yea project hasnt started. i raged, it was the worse bf3 game i have ever had. that doesnt mean i should and i apologize to all especially to the dude flying and you and mikey, and all other who had to hear that, it wont happen again, if so i will eject myself. sry kiwi. I've never seen julian get upset to the point where he types at someone. I can't imagine how lame the game could have been to drive him to this point. But the fact that you called him out on it on his "first offense" is kind of hilarious to me. I honestly can't take your opinion seriously now, knowing who you are. lets get back on topic dont you think . and dont quote things to make things worse it makes you just as bad. Last edited by billythekid1 on November 22nd, 2012, 2:19 pm, edited 3 times in total. like i said Good ideas Julian its a shame people are taking this of topic, can the admin please remove any non related post's from this thread thank you..
Get a pvt message saying freedom of speech.. think about that also i guess!!! billythekid1 wrote: lets get back on topic dont you think . and dont quote things to make things worse it makes you just as bad. If you can't handle being quoted then don't post on the forums. Also good job editing your posts and then asking to get back on track. billythekid1 wrote: like i said Good ideas Julian its a shame people are taking this of topic, can the admin please remove any non related post's from this thread thank you..
You're the cause of the topic getting derailed. "Think about that also i guess!!!" If his original post was still visible to everyone else I would agree. But since it's been edited and there's no proof of him calling others cunts i suppose I'll hold my opinion. im getting sick of all this BS like i said off topic . Yes im honest and yes i used the word you said. i said i was the sick of all the new C*** coming in here knowing everything, but i decided to edit that post due to it not being in the guidlines of the forum and thought it was disrespectful. Also dont mind being quoted at all its fine, but the reason your doing it it to get a reaction, Give up my friend lets get this on topic. as ive asked admin and ill ask again please delete all non topics posts mine included ty. As for saying i derailed the topic i dont think i did i mentioned something to julian about the other day he agreed and replied. this had nothing to do with you and was sorted out.. but you seem to want to get involved and deffend your friend which is fine but lets be honest i think he can look after himself.. In julians original post he admits to raging just as hard as anyone and said he will try and make steps to keep it to a minimum. Yet the first time he rages since making a good faith suggestion to bring life back to the community server you jump him big time. And not in a constructive manner at all, it was pretty harsh. I find it ironic you put him on blast when your attitude is just as detrimental to the rebuilding process. I'm stepping out of this conversation because I dont want to take away from the original post either, I like the 117 server and the 117 members, I hope you guys and return the server to the glory it once had. billythekid1 wrote: im getting sick of all this BS like i said off topic . Yes im honest and yes i used the word you said. i said i was the sick of all the new C*** coming in here knowing everything, but i decided to edit that post due to it not being in the guidlines of the forum and thought it was disrespectful. Also dont mind being quoted at all its fine, but the reason your doing it it to get a reaction, Give up my friend lets get this on topic. as ive asked admin and ill ask again please delete all non topics posts mine included ty. Don't involve yourself in everything and you won't be sick of the BS. If you are gonna involve yourself do me a favor and actually help fill up the server by being in it yourself, rather then leaving after 1 round which you rarely even last through. What is it that these supposed new cunts know, if you find out let me know. I know what you said and you know damn well that you are lying about it. But it's ok. I have nothing to prove so I won't attempt to convince everyone otherwise. Unlike you I didn't jump the gun. As far as julian needing defending... well.. defending from what? In order for someone to be defended they need to feel threatened. Are you a threat? Maybe you should delete this account, make another one and try again, maybe having a threatening name will help your case. quit with the baiting already like i said julian and i sorted out that issue in game. as for being in game for a round or two this has nothing to do with you but i will explain , i have family you know and my time is limited. i also at the moment have a compressed disc and a ant pinched disc in my back and find it hard to sit for periods of time.. If you want to reply again like a child please carry on but i will not respond and please dont pvt message me thanks.you have not actually added anything of help to this topic. all you have done is attack me very uninteresting . billythekid1 wrote: quit with the baiting already like i said julian and i sorted out that issue in game. as for being in game for a round or two this has nothing to do with you but i will explain , i have family you know and my time is limited. i also at the moment have a compressed disc and a ant pinched disc in my back and find it hard to sit for periods of time..
First off don't try to make this a pity party for yourself I don't care what problems you have or who you are or what you look like. I don't see you as a greater or lesser then me I see everyone as just people we all have bad stuff happen to us dude, that's part of life. But why would you wanna exploit your hardships just so you can use it to your advantage online? If you wanna stay on topic then why would you type this stuff? I don't see how a child's mind could produce what I'm telling you. It's very obvious that you're trying to fight passive aggressively. I want you to know that it's blatantly there that you are trying to insult me. So cut the crap. You're second reply to this topic was childish in itself. This had nothing to do with people not liking one another I don't think this was the place to call julian out on what you think he did wrong, but that being said you go and tell me I'm a female body part, you specificly said "Watapus you're a female body part" Which has been since edited out, and then you had the audacity to tell me not to judge people before you get to know them. Usually the term female body part is meant negatively and yet I don't see what I did that was negative. I defended my friend which is far from what "cunts" do. Uninteresting or not freedom of speech is awesome. No matter what your preferences and opinions are they do not equal fact. If i fight back im in the wrong if i dont its passive agressive? go figure..is that statement fighting or passive agressive who knows.. There could be the of chance that im not angry or fighting about anything just bringing a point to julian about his actions that day(for the record if was for julian and not you), he acknowleged this and apologised as did i. Get over it and move along. and yes i replied after i said i would not..
And i never called you a Womens fluffy at all. i said some of these new womens fluffys have ruined things.